Mercedes-Benz announced a new customer care initiative for its luxury car segment buyers today in Amritsar called 'Service on Wheels'. 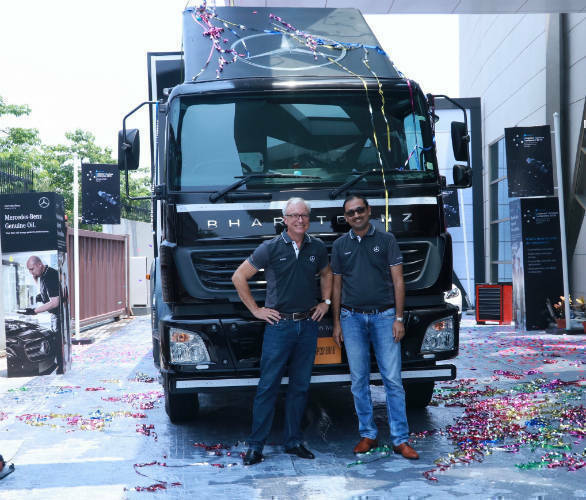 Through this initiative, a service truck equipped with tools and professional service personnel are available to attend to customer cars, especially in Tier 2 and tier 3 cities where Mercedes-Benz doesn't have a direct presence. When a notification is sent, a mobile service truck will visit the customer's area and carry out the inspection, repairs and service of the car. The company says this is the first time a luxury car maker has launched such an initiative in the country. This has been tailor-made for the Indian market and is specifically targeted towards smaller cities. Phase I will cover 15 such outposts like Jalgaon, Gandhinagar, Jamnagar, Valsad, Kutch, Amravati, Udupi, Bellary, Dharwad, etc. in 2018 and to other markets in 2019. Two trucks have been assigned for this purpose - one catering to markets in the North & East and the other to South & West. 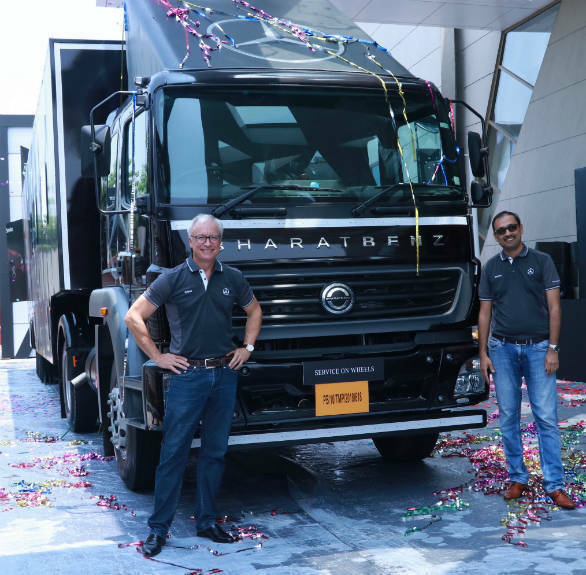 The trucks are state-of-the-art machines and equipped with Mercedes-Benz's 'Digital Service Drive' capabilities and are capable of carrying out first free inspection, service A & B and other jobs. The trucks will carry necessary parts, tools and equipment for this like a mobile lifting platform, standard and special tools, generator, diagnostic equipment and more. 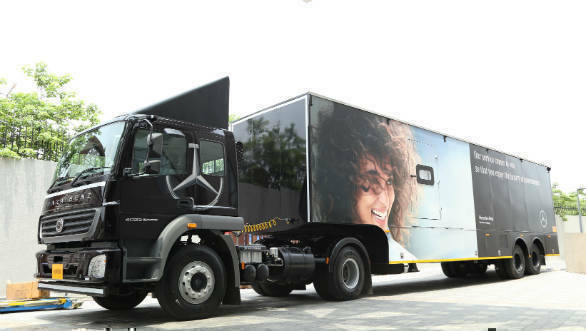 Specially trained service advisors, VPC (Vehicle Preparation Centre) technicians, sales advisors along with other support staff accompany the Mercedes-Benz 'Service on Wheels' truck at each visiting location. For more intense repair work including body and paint works, the customer can also book workshop appointment at the 'Service on Wheels' by the service advisor. A customer lounge has also been installed in the trucks, featuring customized interiors, comfortable seating space for six people, full vinyl flooring, 43-inch smart television and two split air-conditioners. The company says the benefit of this initiative will be added transparency, a significant reduction in service time, first free inspection, hassle-free service experience at their doorstep.